Go to this link — http://www.pawtrees.com/joebites, fill out your pet profile and make a specially-blended order for your pooch, which is delivered right to your door. Best of all a percentage of the sale will go to the Fort Worth Nature Center & Refuge or to the Center for Animal Research & Education. DIRECTIONS TO ORDER: Copy and print your order from the form below. Mail your order and check to me at JoeBites, c/o 2316 Ashland Avenue, Fort Worth, TX 76107. Please add $4 for shipping costs. I will get the proceeds to whichever organization you choose. If you send cash, I will forward the proceeds to whichever organization you choose. Tax ID numbers are listed below. Please add $4 for shipping costs. All regular t-shirts are short sleeved, crew neck. Special order sizes and styles of shirts must have an individual donation quote made. CHECKS & EXACT CASH, ONLY! 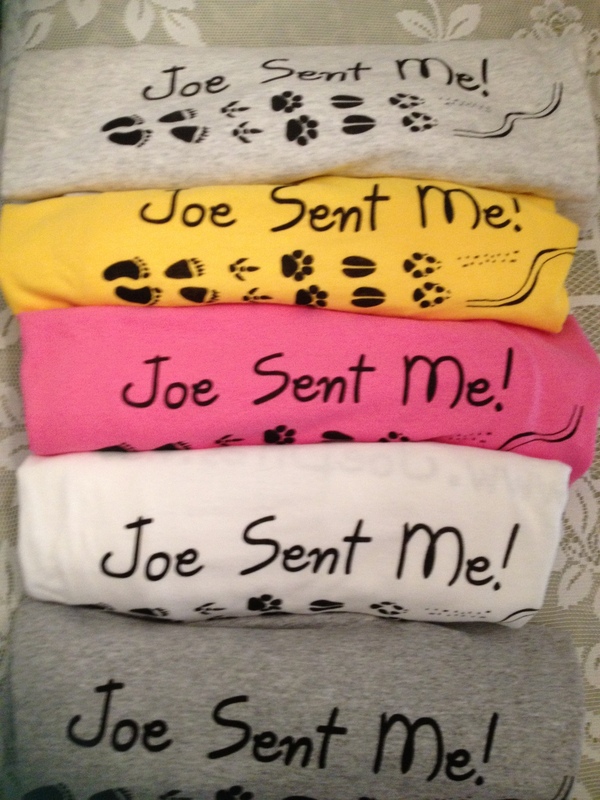 Add a note in the memo portion of your check that “JOE SENT ME!” Proceeds from every t-shirt sale go to a FO1C (3) charity. I have got donations for over 15 shirts so far! Thanks, everyone!! !